Paul McCartney on the TRUTH of why John Lennon quit band. Beatles Radio: The Beatles, Solos, Covers, Birthdays, News The Fab 4 and More! SIR PAUL MCCARTNEY has revealed he doesn’t blame Yoko Ono for John Lennon’s departure from The Beatles, despite her “intrusive” nature. Back in 1970 The Beatles split after a decade together becoming what is probably the most influential band in history. And over the years there have been all kinds of rumours surrounding what caused the breakup. 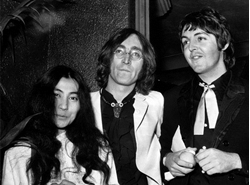 McCartney and Lennon certainly had a clash and fans have debated how much of an influence Yoko Ono, John’s wife, was on this. But now in a new interview, McCartney has revealed she was not to blame.